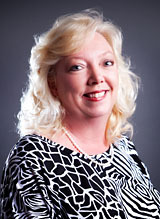 Tracie Thibault has more than 20 years of nursing experience, in the Middle Tennessee region. She has also been a member of Middle Tennessee Association of Diabetes Educators and looks forward to the opportunity of assisting new high risk maternity patients at TMFM. She was previously associated with the Baptist Hospital Diabetes Center as a certified diabetes educator and has a special expertise in caring for pregnant diabetic patients. A Bachelor of Nursing graduate of Austin Peay State University, Tracie Thibault completed her Master of Science in Nursing at Vanderbilt in 2003. Thibault obtained 15+ years of experience in high risk obstetrics in the Maternal-Fetal Division Department of OB-GYN at Vanderbilt University Medical Center where she cared for all of the patients assigned to the Obstetrical Diabetic Clinic. Thibault is also a member of the Sigma Theta Tau, Honor Society of Nursing. She is also NTQR certified.